A ploy to raise the stakes in bid for Presidency? 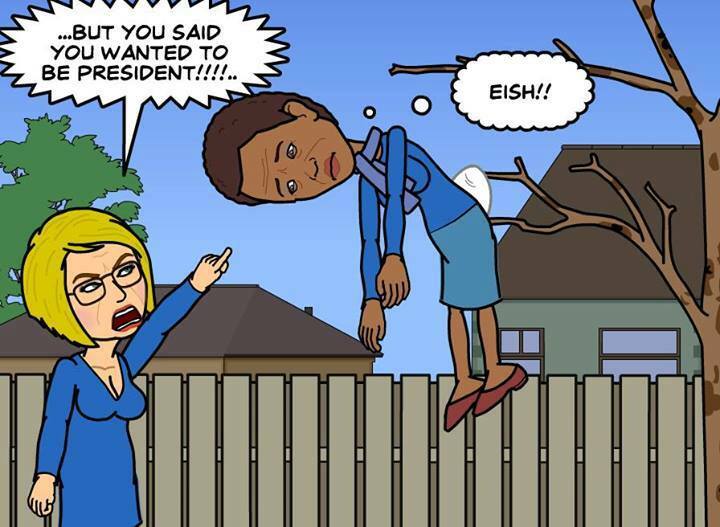 IT WAS inevitable that the opposition Democratic Alliance would arrive at its own Rubicon. 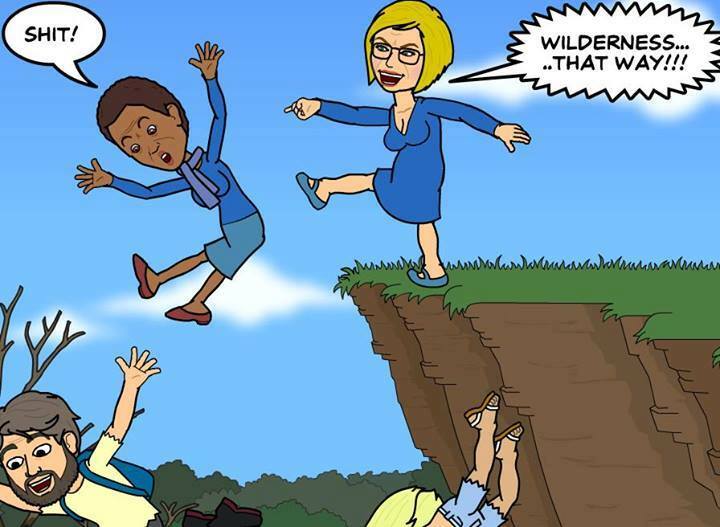 The saga involving party stalwart Helen Zille, what she said or didn’t say, what was meant or not meant, the affectations of white liberal insiders, the embarrassing grand old colonial edifice and all its past glories, suddenly rendered impotent by a growing and vocal group of black entrepreneurs to its left and the irony of a conservative Afrikaner establishment to its right. Let’s just say that the old model of opposition politics no longer holds. While cavalier, Mmusi Maimane was certainly reading the mood of the electorate, setting the stage for the 2019 general election, and his run for President in standing firmly against superiority, class attitudes and snobbery within his own party. Admittedly with this type of populism, it is all about political demeanour, perceptions and the will of the masses on the ground. That national student movements such as SASCO found themselves weighing in on the subject, meant the DA, an alliance if ever there was one, was suddenly finding itself cast into the national spotlight. Provincialism of the kind articulated by Zille and her followers had no place. And hence while some bemoaned the outcome, a tragic fait accompli, it was inevitable that the party would find itself at a cross-roads, with a choice of futures. Can the DA ever hope to govern the nation, without creating tensions amongst its provincial partners? It was no less than Douglas Gibson who first characterised the problem, Zille was past her sell-by-date. Thus Tony Leon soon found himself publicly praising Maimane for taking tough action against Helen over the colonialism tweets. While the prevarications and equivocations by the premier went from bad to worse. That the Cape Town lady was deploying the politics of World War 2 in her defence, admittedly of an Asian economic model merely made her arguments seem antiquated. This was not a society gone racially mad but a case of corrective action, a necessary medicament arising from the furore surrounding a simple online tweet, and requiring a better perspective, than the past fiasco which had been a case of not growing up, or too much too soon — the party head-hunted struggle stalwart Mamphela Ramphele mid-flight, in the last general election was unable to broker an effective alliance with its grass-roots ticket and thus a broad coalition of partners that could have produced a major victory for moderate black voters and their allies in the civil service and SOEs. If the party is to have any hope of winning the next general election, it has to move forward under its current leadership. There are a number of caveats. Can the social wage be protected if not by social democrats? 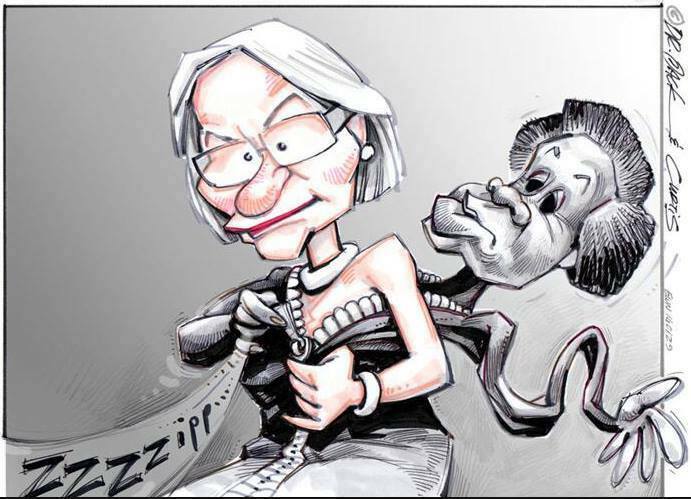 Whereto the provinces versus the national vote? Is there a way of saving the Western Cape’s unique character, given that the DA is an alliance, which has done remarkably well in South Africa’s metros? Where to Mmusi from here? Only time will tell whether or not this emerging political formation, untrammelled by the corruption within the current Zuma administration, and unhindered by the ideological baggage of the far-left, will pull through to its destiny in a future national cabinet. My bet is surely on Maimane for president, and come the next election, anything but the current Mafiosi state of Jacob Zuma. Will the DA ever grow up? On again, off again marriage. 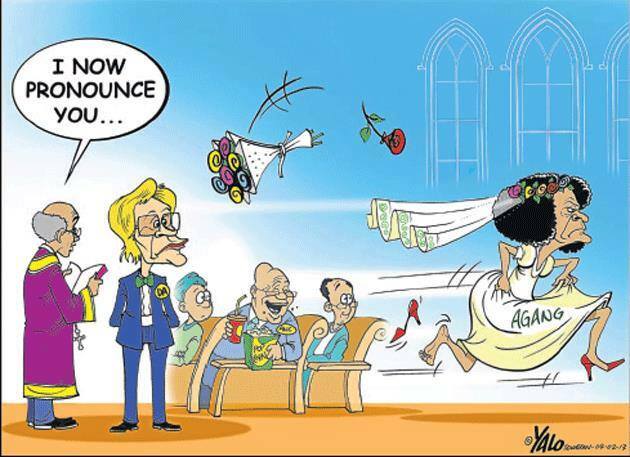 Zapiro original version. WHEN a political conservative of the stature of RW Johnson starts attacking you, then you know you must be doing something right. In 2010 73 prominent writers and academics wrote letters complaining about the man’s use of the term “baboon” to describe African migrants and the occupants of South Africa’s informal settlements. Labelled a racist because of his column in the London Review of Books, Johnson is also the former head of the Helen Suzman foundation, a Democratic Alliance think-tank. In the weird world of South Africa’s so-called liberal politics, conservatives freely mingle with what are known as Progs. Not progressives as such, but rather Progressive Federalists. 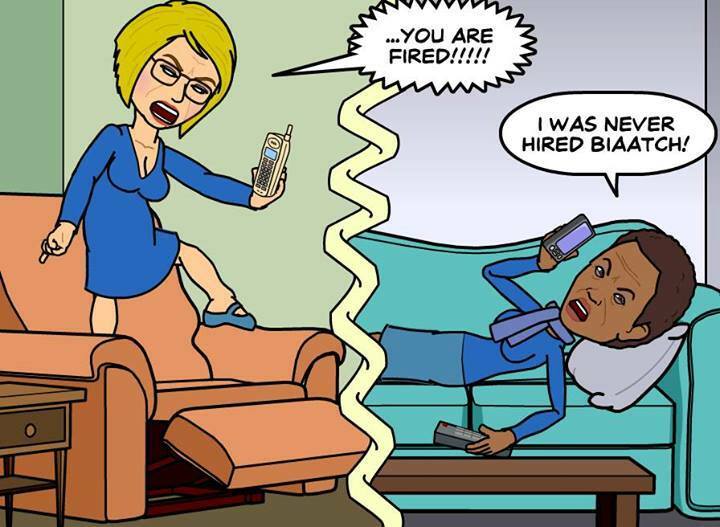 It was therefore power dynamics within the Democratic Alliance party structures, in particular its Federal Executive (FEDEX), which threatened to derail the Agang merger over the Weekend, as party leader Helen Zille took her own brand of gender politics into a collision course with youth leader, Mbali Ntuli, forgetting some of the most basic principles of consensus building within large organisations. That the DA party needs a serious overhaul of its federal executive, if it has any hope of drawing in the left-of-centre upstart, Agang as well as other opposition parties such as COPE, is plain to see. Mamphela Ramphele may be a former director of the World Bank, but her politics are most definitely not indicative of classic liberalism in the South African sense, nor are they conservative or colonial values. Rather, Ramphele represents a definitive break from the white old guard — the vertical, monied constituency attitudes of the DA and its business lobby — with a move towards a horizontal, mass-based mobilisation of South Africa’s rural poor. Mamphele also has support amongst the emerging black middle class as well as social democrats who realise that only an opposition coalition around the fundamentals of citizenship, constitutionalism and service delivery can hope to gain power in the 2014 elections. RW Johnson may as well have invoked the Peter Principle last week when he labelled Ramphele’s “entrance onto the political scene” as an “an accident waiting to happen”. In a piece lambasting her achievements at the University of Cape Town, and deriding a sterling performance on various trusts, executive boards and the World Bank, Johnson produced the usual colonial, chauvinistic and racist invective, once reserved for Marxists and left-leaning types such as Andrew Donaldson. The Peter Principle is a management theory which suggests that organizations risk filling management roles with people who are incompetent if they promote those who are performing well at their current role, rather than those who have proven abilities at the intended role. It is named after Laurence J. Peter who co-authored the 1969 humorous book The Peter Principle: Why Things Always Go Wrong with Raymond Hull. They suggest that people will tend to be promoted until they reach their “position of incompetence”. 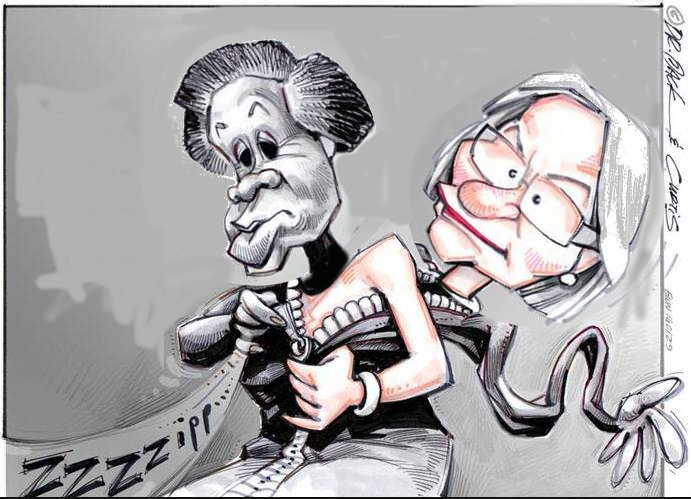 The Democratic Alliance’s struggle to balance its own incompetence and varied internal political aspirations with the nation-wide potential for a sudden influx of the black masses, represented by Agang, may yet vindicate Johnson and the conservative business lobby. Looking at the throng of Basotho in South Africa who have an affinity for Mamphela Aletta Ramphele aka MAR, a native Sotho speaker, one couldn’t help but notice the disparity in numbers –the party is as yet untested at the polls but is rapidly gaining traction as a new political animal evolves around the one woman with a chance to become South Africa’s first ever black, female President. So far as the press and black South Africans are concerned, MAR has become the only game in town. 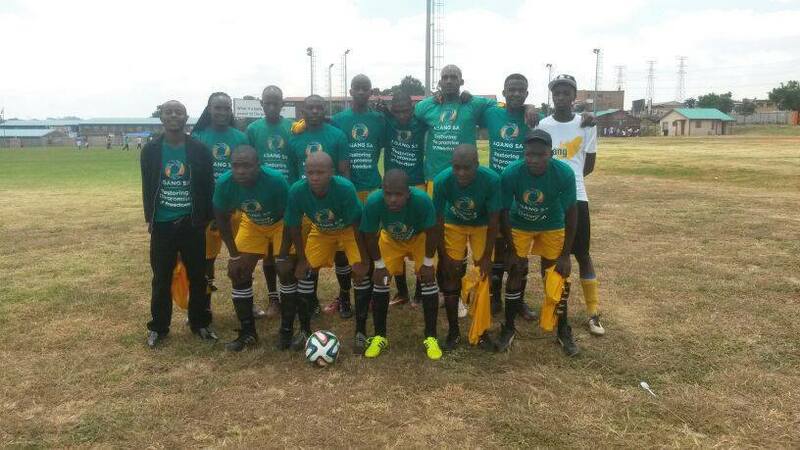 Agang are able to field a literal soccer team of youth in areas where it counts most in South Africa’s townships, while the Democratic Alliance, at least, in its lily white form encapsulated by Helen Suzman and represented by FEDEX, are barely able to wield a full deck when it comes to black empowerment and affirmative action. Whether the resulting train smash in political cultures and nation-building policies results in a New Democratic Alliance, a broad coalition that rebrands itself around homespun African values, or whether the conflict signals a return to the colonial dogmas of the past, remains to be seen.